Many beaches offer opportunities to snorkel and scuba dive along the massive Great Barrier Reef and observe unique native wildlife, from seabirds and sea turtles to migratory whales and kangaroos. 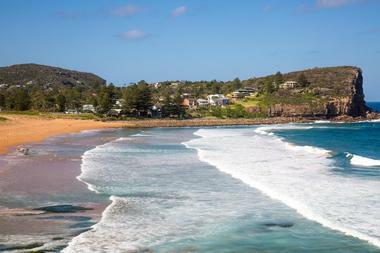 Others connect to some of Australia's most scenic outdoor recreation areas, including Royal National Park and the spectacular Grand Scenic Drive, with overnight accommodations available near the beachfront for multi-day excursions. Mauritius Beach is one of Australia's most secluded clothing-optional beaches, located approximately 29 kilometers north of the city of Exmouth, near the Vlaming Head Lighthouse. The 900-meter beach offers clean white sands and a gently-sloping shoreline, with mostly safe swimming conditions aside from some shoreline rocks. Beachcombing is a popular activity at the beach due to its rocky headlands, with public restrooms and showers provided for visitor use. 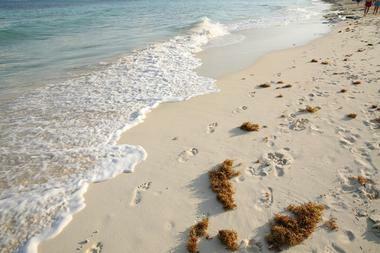 Between October and April, the beach serves as a turtle nesting and rookery site. Nearby, Ningaloo Marine Park offers opportunities for whale shark and turtle watching, while Cape Range National park is home to spectacular limestone ranges and canyons. 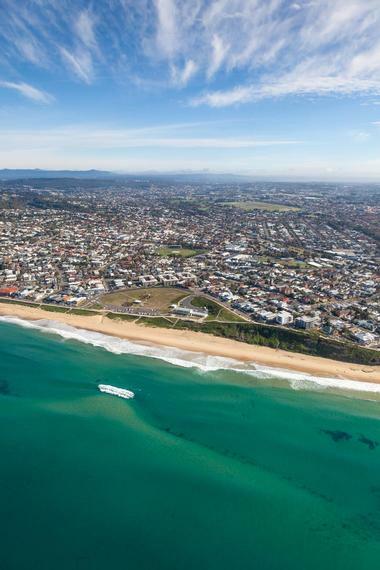 Merewether Beach has been ranked as one of Australia's top city beaches, offering a laid-back visitor alternative to more crowded public beaches such as Bondi Beach or the Gold Coast. 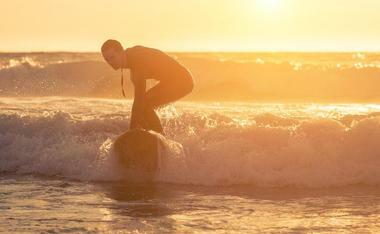 The beach is a prime spot for surfing during temperate months, serving as the home of the Merewether Surfboard Club and the site of the annual Newcastle Surfest since 2006. The beach is also home to the largest ocean bath facility in the Southern Hemisphere, the Merewether Ocean Baths, and one of Australia's oldest lifesaving clubs, the Merewether SLSC. 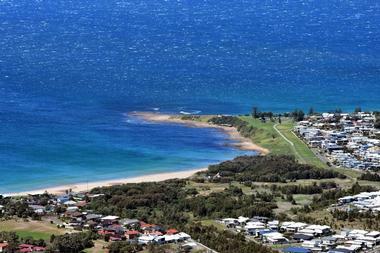 Affordable visitor amenities abound in the nearby city of Merewether, including quaint cafes and hotels. Nearby, Dixon Park Beach and Burwood Beach offer respites from surfers and chances to explore natural features such as Glenrock Lagoon. 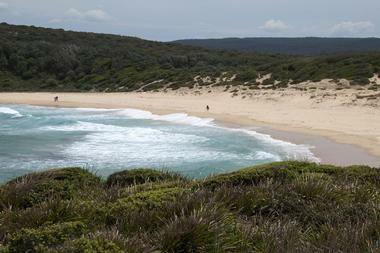 Marley Beach is a wild, unpatrolled beach that is one of 11 beaches housed within the 151-square-kilometer Royal National Park, the third national park established in the world in 1879. 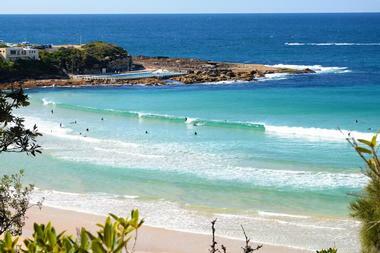 The 360-meter beach is accessible on foot via the Royal National Park Coast Track, a moderately hazardous trek. More than 130,000 square meters of spectacular sand dunes are located behind the beach, which are often compared to the beautiful Cronulla sand dunes of Sydney Cove. Visitors should note that swimming and surfing are discouraged due to hazardous water conditions, though channels formed from runoff from nearby Marley Lagoon serve as an alternative swimming spot in the area. 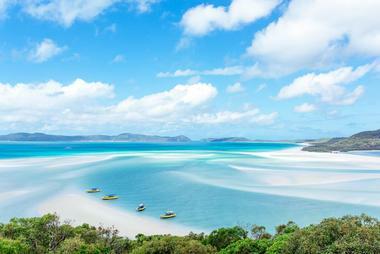 Whitehaven Beach stretches 4.3 miles along Whitsunday Island, originally discovered in 1879 and named by Staff Commander EP Bedwell. The beach has been noted as one of the world's most eco-friendly and clean beaches by CNN and is believed to have been a source of sand to create glass for the Hubble Space Telescope. Pristine white sands consist of 98% pure silica and do not retain heat, allowing for comfortable walking conditions no matter the temperature. Beautiful turquoise waters provide opportunities for swimming, with camping and barbecue grill facilities available for visitor day use. Each year, the Whitehaven Beach Ocean Swim is held at the beach as part of the Hamilton Island Triathlon. 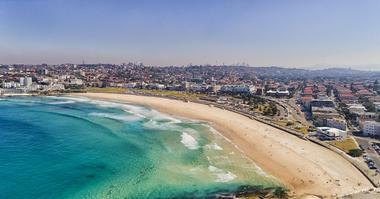 Bondi Beach is one of the most famous visitor beachfronts in the world, spanning approximately half a mile within the Sydney suburb of the same name, approximately seven miles from Sydney's central business area. The beach resort, named for an Aboriginal word roughly translating as "water breaking over rocks," was initially established in 1855 as a private amusement resort and picnic grounds and became a public beachfront in 1882. 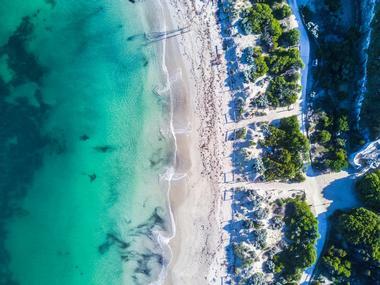 Today, the beach has become one of Australia's top tourist destinations, drawing surfers and swimmers to the beautiful white sand crescent year-round. 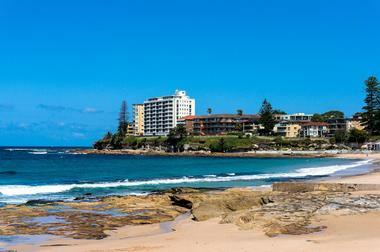 The Coogee Coastal Walk offers opportunities for walking and jogging, while the Bondi Golf Club features nine challenging holes. Cafes, shops, and tourist attractions line nearby Campbell Parade, with events such as the Sculpture By The Sea exhibition hosted annually. Kutti Beach is one of the Sydney area's best-kept secrets, located within the elite Vaucluse suburb, which is home to the historic Vaucluse Amateur 12-Foot Skiff Club. Visitors can access the beach from Wharf Road and Hopetoun Avenue via a narrow wooden stairwell to the side of the skiff club's main building. Once inside, the harbor beach offers calm, pristine green waters and a Mediterranean atmosphere and does not attract many tourists due to its remote destination. In addition to swimming, sunbathing and reading are popular beachfront activities, with a wooden boat ramp provided for visitor lounging. The beach is also one of the few dog-friendly beaches in the Sydney area, with loose leash rules allowing for off-leash play at many times throughout the day. Visitors should note that no restrooms or amenities are offered at the beach, though nearby cafes within Watsons Bay offer public amenities. Wineglass Bay is often considered to be one of the top 10 most spectacular beaches in the world, located on the Freycinet Peninsula near Hobart, Tasmania within Freycinet National Park. The beach is a veritable natural kaleidoscope, known for its nearly-perfect coastal curve, pristine white sands, and sapphire waters, with beautiful grey and pink granite peaks in the distance serving as its backdrop. Popular outdoor activities at the beach and on the peninsula include kayaking, deep sea fishing, scuba diving, sailing, mountain biking, and rock climbing, making the beach a perfect destination for outdoor enthusiasts traveling to Australia. Secluded coves and luxurious eco-friendly lodges also make the beach a prime destination for honeymooners. Travelers to the region can embark on the four-day Freycinet Experience Walk, which traverses the entire peninsula and showcases Wineglass Bay's most beautiful sights. Cape Le Grand National Park is an expansive 78,000-acre national park in western Australia, located approximately 400 miles south of Perth near the town of Esperance. The park was originally established in 1966 and is overseen by Australia's Department of Parks and Wildlife, named for an officer aboard the 1792 L'Esperance expedition by Bruni d'Entrecasteaux. Unique primitive species abound due to the area's relatively unchanged landscape above sea level for more than 200 million years. 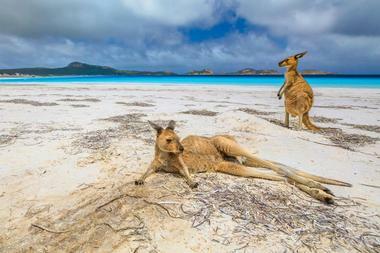 At the park's beachfront, visitors can swim, fish, camp, rock climb, and occasionally spot kangaroos sunbathing on the beach alongside tourists. 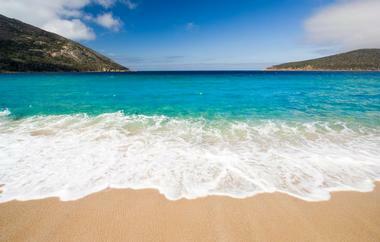 Beach areas are offered at Rossiter, Lucky, and Hellfire Bays, as well as Le Grand Beach and Thistle Cove. 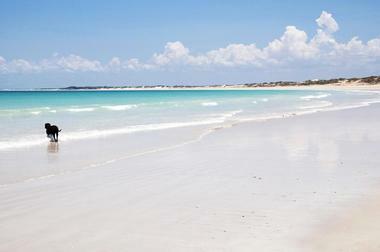 Cable Beach is a stunning 14-mile beach located along Australia's eastern Indian Ocean coastline near the city of Broome, originally named for telegraph cables connecting the city to nearby Java in 1889. Today, the beautiful white sand beach serves as a popular beach resort spot year-round, offering gentle waves during the region's dry season between May and October. Stunning ochre red cliffs and massive sand dunes surround the beachfront, providing dramatic scenery for vibrant ocean sunsets. The beach is best known around the world for its unique tourist camel rides, which traverse the beachfront daily at sunrise and sunset. A section of the beach's northern end is clothing-optional. 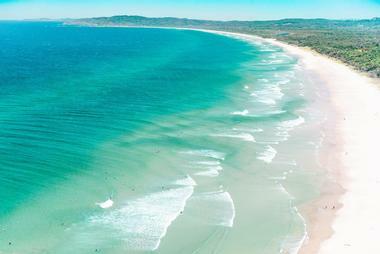 Visitors can also swim, kayak, surf, and fish at the beach or relax at one of many nearby seaside resorts. Main Beach is a beautiful public beach located near the town of Byron Bay, offering a wide variety of visitor amenities for tourists of all ages. The beach is located at the site of a significant Aboriginal meeting place for the Arakwal indigenous people and the Bunjalong Nation, with many preserved sacred sites still located in the surrounding area. Today, the lively beach is an excellent spot for novice surfers to learn how to ride waves due to the gentle, small waves in the area during calmer water conditions, with patrolling offered by the Byron Bay Surf Life Saving Club. Nearby, Apex Park offers a children's playground, day-use picnic tables and barbecue grills, and public restroom and shower facilities. 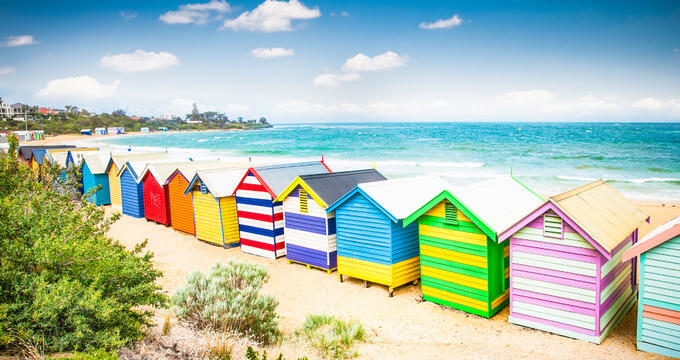 Bathers Beach is a lovely city beach in Fremantle's West End district, conveniently located near attractions such as the Maritime Museum, Challenger Harbour, and Esplanade Park. The 300-meter beach is a popular daily swimming spot for area residents, split into two by a barrier wall near the Kidogo Art House art center. Safe, calm water conditions make the beach an ideal outdoor recreation area for families, and stunning sunset views make for a perfect ambiance for romantic picnics and shoreline strolling. Free wheelchairs are available for visitors with disabilities, with access ramps offered as an alternative to beach stairs. The city's main entertainment district is located less than 10 minutes from the beach, with many restaurants, cafes, and nightlife options easily accessible on foot. Avalon Beach is the beautiful central beach of Sydney suburb Avalon, which was developed in 1833 following a land grant to Rev. J.J. Therry for the purposes of coal mining. Today, the region is one of the few remaining areas in the greater Sydney region that is home to sizeable populations of koalas, located less than 35 kilometers north of Sydney's central business district. The beach, which is internationally known for an appearance in the American television series Baywatch, is a prime spot for swimming, fishing, surfing, and windsurfing, with a tranquil rock swimming pool area offered for families at the beach's southern end. A park area near the beach also offers day-use picnic tables and barbecue grills. 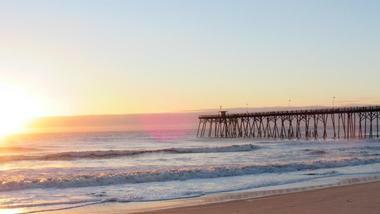 Shops, restaurants, cinemas, and supermarkets are all within walking distance of the beach in Avalon. Cobblers Beach is a lovely scenic beach within Sydney Harbour National Park, located along the northern end of Middle Head near the city of Mosman. The free-admission beach is a designated clothing-optional beach area, though visitors should note that clothing must be put back on in surrounding areas. The beach's picturesque cove area offers spectacular views of nearby Grotto Point Lighthouse and Dobroyd Head, with trailhead access provided along the Don Goodsir Track to the historic preserved 1801 Forts. Swimming, snorkeling, and paddling are all popular visitor activities, with kayak rentals available to travel to nearby Rodd and Clark Islands. Four Mile Beach is an expansive white sand beach in Port Douglas, located less than five minutes on foot from the village's central business district. As the region's premiere public beach, the beach begins at northern rocky headlands and expands for four pristine undeveloped miles, hence its name. It serves as a prime spot for sunbathing due to its tranquil conditions, with calm coastal waters and beautiful underwater reefs making for a perfect environment for swimming and snorkeling. Visitors can watch sailboats come in on the nearby Coral Sea or pack picnics for eating at the beach or nearby Palm Cove. Many restaurants within walking distance of the beach offer oceanfront views, and the nearby Flagstaff Hill Lookout provides a spectacular overlook point for photo opportunities. 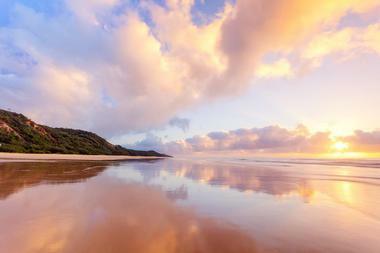 75 Mile Beach is a rugged coastal beach located on Fraser Island, the largest sand island in the world, which spans an area of more than 120 kilometers and is protected as part of Great Sandy National Park. The UNESCO World Heritage Site island is located approximately 250 kilometers off the coast of Brisbane in Queensland and is part of the County of Fraser along with several other nearby satellite islands. Though the beach itself is not a safe swimming beach due to dangerous ocean currents and nearby shark populations, visitors can swim at the nearby Champagne Pools swimming inlet and other swimming sites on the island such as Lake McKenzie and Lake Wabby. The beach is also home to the remains of the shipwreck of the Maheno and the beautiful Indian Head volcanic rock formation. Mandalay Beach is a gorgeous beach between the Australian cities of Walpole and Manjimup, named for the 1911 Norwegian Barque shipwreck of the same name. Due to the vessel's beaching, all passengers aboard the shipwreck were saved, and the shipwreck remains visible today at times during low tides due to beach erosion and covering. The beach is a popular spot for anglers looking to catch herring, whiting, skippy, tailor, and salmon, with plenty of beachfront space available for fishing. Whale watching platforms on the limestone cliffs above the beach offer changes to see majestic whales during annual migrations between September and June. 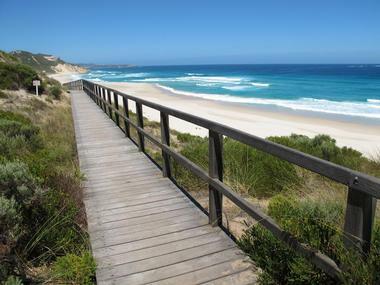 A dune-side boardwalk also offers unparalleled views of nearby Chatham Island, maintained as part of the Bibbulmun Track. Freshwater Beach is a charming family-friendly beach located near the city of Manly, located within the Manly-Freshwater National and World Surfing Reserve, which preserves the environmental conditions and historic areas of New South Wales' most famous surfing beaches. The beach is known nationwide as the site where surfboard riding was popularized in the early 20th century by Hawaiian Duke Kahanamoku, with a statue of Kahanamoku erected on the beach to commemorate his historic 1915 public surfing demonstration. Today, visitors can surf in the shadow of Kahanamoku's achievements at the beach's northern headlands, which offer consistent waves and protection from summer nor'easters. A 50-meter saltwater pool is also offered for lap swimming. Cronulla Beach is a lively beach located along Bate Bay in Sydney's southern region, named for the Aboriginal word kurranulla, which roughly translates as "place of pink seashells." As Sydney's only beach that is accessible via public train, the beach is a prime spot for families and urban tourists, patrolled year-round by the Cronulla Surf Life Saving Club and professional lifeguards from Sutherland Shire Council. Tranquil waters are offered at the Cronulla Rock Pools, which are located between the beach and adjacent North Cronulla Beach. Children's playgrounds are available in a large grassy lawn area behind the beach, which makes for a perfect spot for picnics. Nearby cafes, restaurants, and ice cream stands service the beach and its adjacent Elouera and Wanda Beaches. Jetty Beach is a popular tourist beach that is located at the Jetty Foreshores Park entertainment area, home to attractions such as the Big Banana Theatre and Plantation Tour, the Dolphin Marine Magic aquarium, and a variety of restaurants and nightlife spots. The lively beach offers stand-up paddleboard rentals, public breakwalls with harbor views, children's playground areas, and a variety of day-use picnic shelter areas with barbecue grills. Visitors can walk out to nearby Muttonbird Island, which offers a nature reserve walk and outdoor learning space detailing the region's Aboriginal history. Rollerblade and bicycle trails are also offered throughout the beach. Bulli Beach Tourist Park is a beachfront gateway to Australia's spectacular Grand Pacific Drive, which spans 140 kilometers between Sydney's Royal National Park and the Shoalhaven region of New South Wales, traversing through rainforest areas, stunning coastal overlooks, and picturesque seaside villages. The charming beachfront area offers a variety of overnight accommodations for visitors looking to embark on the Drive, including self-contained one-to-three-bedroom rental cabins fully equipped with amenities such as laundry suites, private barbecues, and shaded beach view verandas. Camping is also available on the park's grounds, with children's playgrounds, barbecue grills, and a camp kitchen available for day use. Regardless of amenity choice, all visitors can access the beach's soft golden sands and stunning sea views. Nudey Beach is an award-winning white coral beach with a storied history, originally inhabited by the Gunggandji Aboriginal people and known as Koba, which roughly translates to "the fist." Following Captain James Cook's 18th-century expeditions along Australia's coastline, the beach was used as a smallpox quarantine station, penal colony, and military lighthouse site. 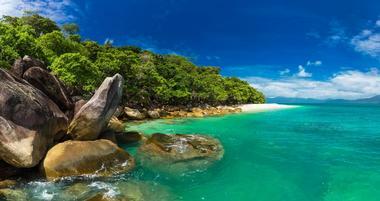 Today, the charming beach, which is located along the southwestern shores of Queensland's Fitzroy Island, is home to spectacular native wildlife, including goannas, white-bellied sea eagles, Eastern dusky leaf-nosed bats, and buff-breasted paradise kingfishers, which can be viewed along the Nudey Beach Walking Track. 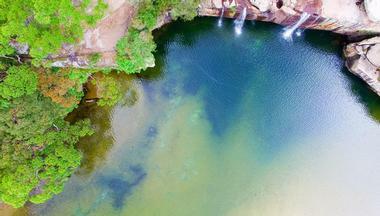 Visitors can also have a rare opportunity to swim and snorkel in waters that are surrounded by the Great Barrier Reef. Overnight stays are offered at the eco-friendly Fitzroy Island Resort, considered to be one of Australia's premiere luxury resorts. Shelly Beach is a charming beach in Sydney suburb Manly, located near Fairy Bower and North Head along Australia's eastern coastline. The beach, which was historically a site occupied by Aboriginal people, was a former haven for boating in the 20th century due to its surrounding reef, which protects its waters from ocean swell. 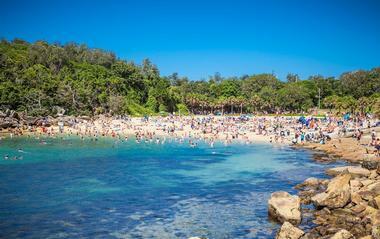 Today, the 100-meter beach is a protected marine reserve within Cabbage Tree Bay and serves as a prime spot in New South Wales for snorkeling and scuba diving due to its shallow depths. Shallow breaker waves also make for popular surfing spots, with guided snorkeling and walking tours of the area provided by the ECOTREASURES touring company. Public amenities include restrooms, showers, electric barbecue grills, and a concession area. Wattamolla Beach is a New South Wales beach area within Sydney's Royal National Park, accessible view Wattamolla Road or the Royal National Park Coast Track visitor trail. The beach's name is derived from the Aboriginal word of the same name, which translates as "place near running water" and was previously used to describe the entire surrounding region. Today, visitors can explore the 150-meter beach and its nearby cove and lagoon, all of which is rated as a moderately hazardous beachfront area. Swimming, fishing, and snorkeling are popular visitor activities during calm water conditions. Day-use picnic facilities are also provided nearby by the National Park. Pinky Beach is a Western Australian island coastal beach on Rottnest Island, which is located off the country's coastline near the cities of Perth and Fremantle. 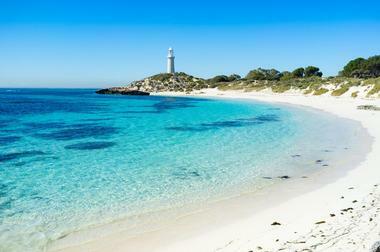 The beautiful island is home to more than 60 public bays and beaches, commonly referred to as "Rotto." Visitors can explore the beach's historic landmarks during summer months, including the Bathurst Point Lighthouse and the Thompson Bay settlement. Sparkling blue waters offer opportunities for swimming and snorkeling, with ample area for sunbathing and beach strolling provided along its charming beachfront sands. The beach is accessible via the Rottnest Ferry, which travels between the island and Fremantle daily. 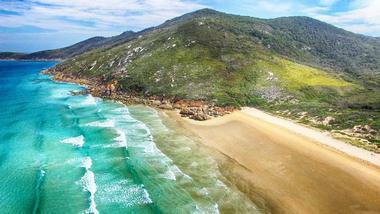 Squeaky Beach is one of the most iconic beaches on Victoria's famed Wilsons Promontory peninsula, known for its pristine white sands with rounded quartz grains that create a slight squeaking sound when walked over, hence the beach's name. The beach's northern end is home to large granite boulders, which create a maze-like atmosphere and may be traversed and meandered between. The beach's shoreline, which is dotted with coastal scrub, offers beautiful views of nearby barrier islands and is perfect for beach strolling and sunbathing. A car park is located a five-minute walk from the beach, with public restroom and shower facilities available for visitors. 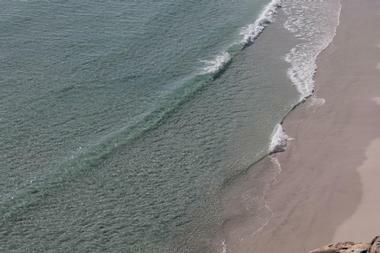 Visitors should note that no lifeguards are staffed at the beach and should swim at their own discretion.